Practice concentrated in bankruptcy, and related litigation for debtors and creditors; mortgage foreclosure defense for residential and commercial properties; real estate and other litigation. 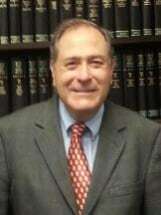 Experienced in appellate practice. Representative clients: Individuals, corporations, partnerships and other business entities; creditors, landlords, real estate investors; Counseling for non-debtor spouses.